Quotes respect quotes It's okay to dislike someone, or even to dislike someone for no reason. But it's not okay to disrespect, degrade, and humiliate that person. It's okay to dislike someone, or even to dislike someone for no reason. 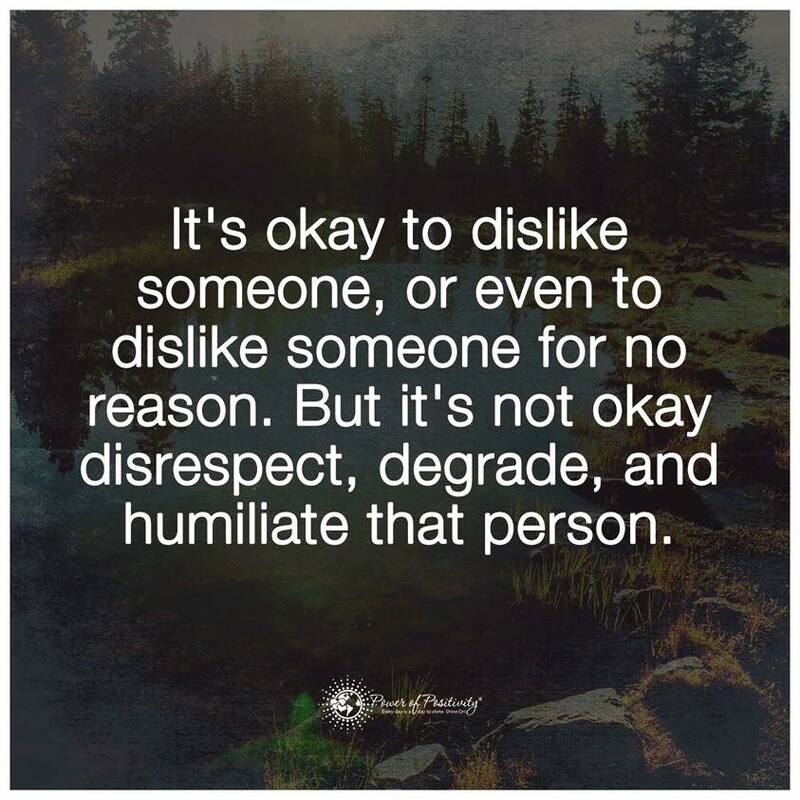 But it's not okay to disrespect, degrade, and humiliate that person.